Greens later today will launch their dental health policy for the general election - this is some of their press release stuff below - as yet no other political party has specifically rejected water fluoridation. On Monday 1 March the Green Party will launch a dental health policy which the Greens believe will enjoy widespread public support and boost the party’s hopes of a general election breakthrough. The Greens are committed to the founding principles of the NHS – including free dental healthcare, which they say could be provided for an extra £1.8 billion a year. The Greens dismiss water fluoridation as a “cheap, tacky, sticking plaster solution with side-effects.” They say that “mass medication of doubtful efficacy and potential side-effects is no substitute for a proper dental healthcare strategy. We need to be teaching new parents how to look after their toddlers’ teeth, and teaching young children from nursery onwards all about how to look after their own teeth properly. 1. Currently, only half the UK population is provided with free dental healthcare. NHS dentistry charges are a regressive tax: they hit the poor hardest and prevent many from accessing dental care. • Between 55% and 60% of NHS practices are not taking new NHS patients. • Some Primary Care Trusts have no NHS dentists taking on new patients. · Most areas have around 55 dentists per 100,000 people. But some have as few as 25, while others have over 100. 3. Less than half of the UK adult population and only around two thirds of children are visiting NHS dentists. The percentage of children who have visited NHS dentists within the previous 24 months has fallen in recent years – a worrying sign. · The use of fluoridated water to improve dental health is not a viable solution – it’s more like “sticking plaster with side effects”. · Any (slight) benefit from fluoride in drinking water has to be weighed against the increased risk of osteosarcoma and dental fluorosis. · Mass medication may breach the European Convention on Human Rights and Biomedicine – it’s unethical to medicate people without their consent. · The use of fluoridation demonstrates a failure to tackle the underlying problems of dental health provision. · Free basic dental care available to all. · Everyone to have access to an NHS dentist if they want one. 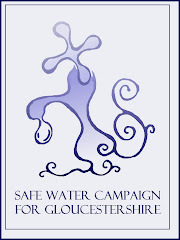 · An end to fluoridation of our tap water. · A comprehensive dental health strategy including proper education for children and their parents. 6. Assuming that some people will wish to remain private, to provide free dental care to 75% of the population would only cost the NHS an extra £1.8 billion a year.